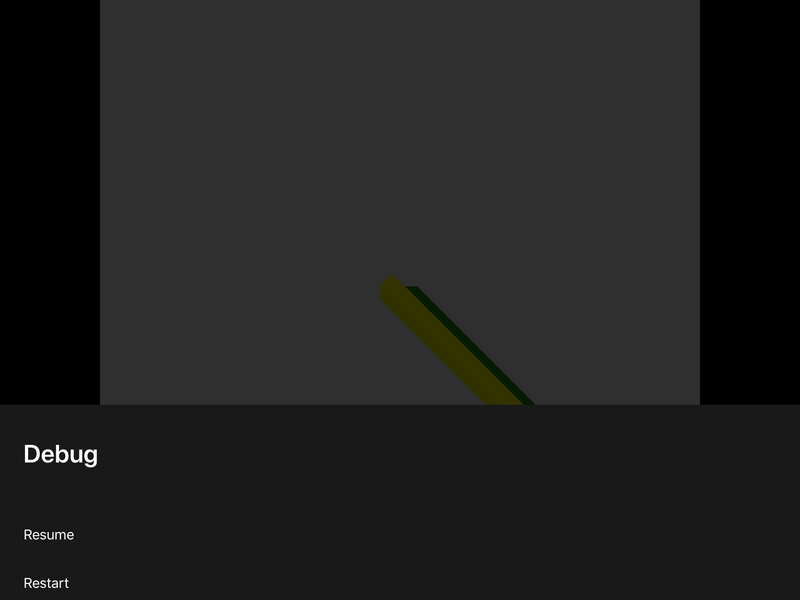 So recently I was testing my app (As you do) and when I entered play mode, the screen randomly rotated. But something was wrong, the screen was square with black bars and you could see stuff in the black bars. Then when I tried to exit, I was unable to because the “quit” button got culled :/. Luckily I didn’t lose much work. @flame-games Woah that's weird. Looks similar to what my iPad does sometimes when it's like somewhere between portrait and landscape mode.